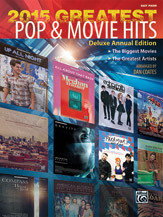 The year's greatest pop hits and movie songs are included in this collection of easy piano arrangements by Dan Coates. Lyrics and chord symbols are also included so anyone can sing or play along. 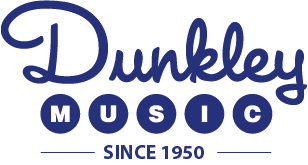 Titles: 19 You + Me (Dan + Shay) * Ain't It Fun (Paramore) * All About That Bass (Meghan Trainor) * Alone Yet Not Alone (from Alone Yet Not Alone) * Believer (American Authors) * Best Day of My Life (American Authors) * Beyond the Forest (from The Hobbit: The Desolation of Smaug) * Bleed for Love (from Winnie Mandela) * Can You Hear Your Heart? (from Winter's Tale) * Clouds (Zach Sobiech) * Coming Up Roses (from Begin Again) * Compass (from Heaven Is For Real) * Cool Kids (Echosmith) * Doin' What She Likes (Blake Shelton) * Everything I Didn't Say (5 Seconds of Summer) * Everything Is Awesome (from The Lego Movie) * Gravity (from Gravity) * Heart by Heart (from The Mortal Instruments: City of Bones) * I See Fire (from The Hobbit: The Desolation of Smaug) * Roar (Katy Perry) * Unfinished Songs (Celine Dion) * Up All Night (Jon Pardi).